Solar Electricity is here for the longterm. But one of the more difficult aspects of understanding solar, is determining the costs of a solar system vs. the benefits a homeowner gains when purchasing a system. In this article, we will explain how you can produce $100 worth of electricity from your own home solar system. And we will give details on how much the solar electric system would cost to produce that same amount of electricity. Next, all we need to do is bring the 2.79 which is an Alternating Current number to DC and then we are finished. Since there is an energy loss going from DC to AC, the actual DC number will be about 18% larger than the AC number. So, in review, it looks like a 3.29 kW DC solar electric system would be able to produce about $100 of electricity per month for someone in San Francisco, CA. That would be about a 20 panel solar system and would be roughly 300 sq. feet of solar panels. Solar panels come in a whole bunch of sizes or you might say they come in different wattages or watts. One really common size/wattage is a 200 watt solar panel. The physical size for one of these panels is roughly 5 feet long by 3 feet wide, and usually about 3 inches thick. So, think of one of these panels being about 15 square feet. What does a 1kw (1000 watt) system take up in square feet? Well, that’s roughly 5 solar panels that are 200 watts each. So, the math would be 5 x 15 square feet or about 75 square feet total for a 1kw solar system. This again will depend on the sunlight hours of the location that you are going to place the solar panels. 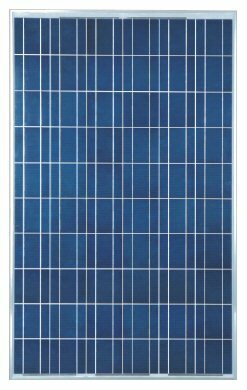 If for example you have 5 sunlight hours per day per year in your location, you could expect each panel to produce about 1 kilo watt hour per day in direct current. And of course if you had 5 panels, that would equal about 5kwh/day in direct current. There is going to be a slight energy loss when the energy is converted into alternating current(AC) so after that factor, you would have about 85% of what you started with give or take a little either way.